If your debt situation has become unmanageable to the point where bankruptcy may be possible, it’s imperative that you get solid advice. Even if you cannot meet your debt payments anymore, this does not necessarily mean that you will definitely have to go bankrupt, as there are other possible consequences that are much less serious. Speaking to debt experts such as Insolvency Practitioners is the best way to work out what your options are going to be. The sooner you get good advice the more chance there is that you will in fact manage to avoid such consequences as bankruptcy. Debts that are out of control may make your options seem extremely limited, but there are a number of things that may alleviate your situation while keeping you solvent. Releasing equity from or selling assets are just a couple of the possibilities, and there are many debt management processes that may get your debts under control, such as consolidation. There are also services all over the UK who can help to mediate between you and your creditors in order to arrive at an arrangement that you can actually manage. The first thing you need to do is speak to professionals who can take a look at your overall finances and work out what options are actually applicable to you. If you do indeed find that your debts payments are simply not going to be possible, you need to speak to an Insolvency Practitioner. This does not inevitably imply bankruptcy though, as measures such as Individual Voluntary Agreements can be hugely helpful in these circumstances. An Insolvency Practitioner will first get an overview of your income, outgoings, assets and of course debts. This will allow them to best advise you about what moves to make next. If you do decide to go for an IVA, for your unsecured debts, the IP will help you to put forward a proposal to your creditors. If it is accepted, you will be able to work towards clearing your debts and protecting yourself from legal action without having to go down the route of bankruptcy. 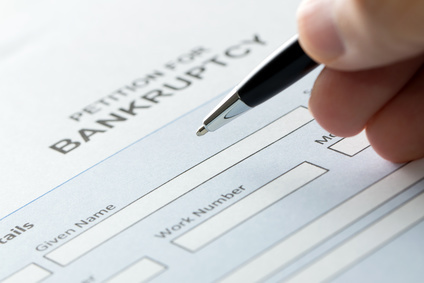 The legal implications of bankruptcy and unmanageable debt have to be handled by professionals who are specially licensed. If you do end up going bankrupt your case will be dealt with through the courts, including managing your assets if you have any. In any case, an Insolvency Practitioner will be able to not only handle the formal administrative procedures involved; they will also be able to give you reliable guidance about how to proceed. You should never assume that you will definitely end up becoming bankrupt because you can no longer meet your credit agreements. Always get the advice of an expert before making any decisions, and do it sooner rather than later, to give yourself the best possible chance at sorting things out. If it is the case that you become bankrupt, getting the right advice will be doubly important, as you will likely face some tough choices.